Creating a minimal WordPress theme or a free WordPress theme with low system requirements has been a goal for most bloggers and webmasters. The benefits of minimal themes include faster site loading speeds and the addition of larger amounts of content to the site. The downside of minimal themes is that the visual design of the website will have some form of limitations. However, most users would still be able to utilize a lightweight yet elegant theme that is both functional and fashionable. We will discuss in this post at least 20 examples of the best minimal WordPress themes available this year 2017, so continue reading below. 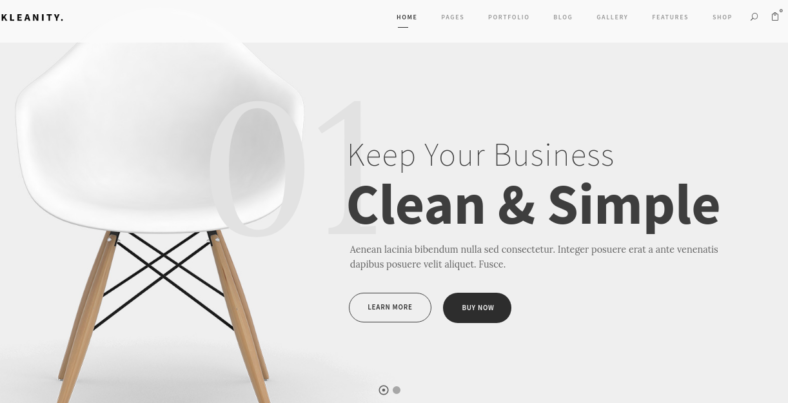 Clean is a minimal popular WordPress theme that is ideal for the creation of an online blog site or the creation of a media-sharing site. Clean is made with the intention of creating a website that is fast in loading as well as lightweight when it comes to network usage. This is due to being a clutter-free website. This multipurpose WordPress theme is made to respond to whatever device the site is going to be viewed on, so users would be able to access it on the go. Guapa is one of the best minimal and clean WordPress blog themes designed to be completely responsive to whatever device a user is viewing the site on. This means that the WordPress theme will appear elegant regardless of what device is being used by a viewer, which makes it friendly for mobile users. It supports several post formats that will assist you in determining the post layout for each of the web pages of your website. Its appearance is simple yet elegant and it contains features and functions that allow it to perform certain tasks effectively. 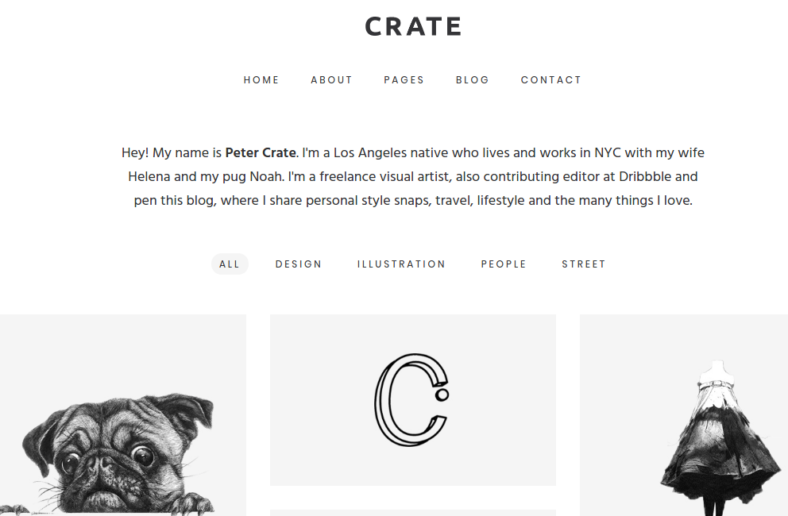 Crate is a best minimal WordPress theme that can help reduce the overall network usage it takes to load up the site, making it quite friendly to mobile users. Aside from its low data usage, it is even fully responsive for optimal viewing on various screen sizes. This ultra minimal WordPress theme has a variety of high-end features such as the live customizer that allows for the creation and customization of the WordPress theme in real time. Luane is a clean and responsive WordPress theme with a modern, minimal aesthetic. It is also cross browser-compatible, which allows users to view the site on various web browsers like Chrome and Safari. Queentill is a minimalist multipurpose WordPress theme for those who wish to make a personal blog focused on travel, photography, food, and other topics of interest. 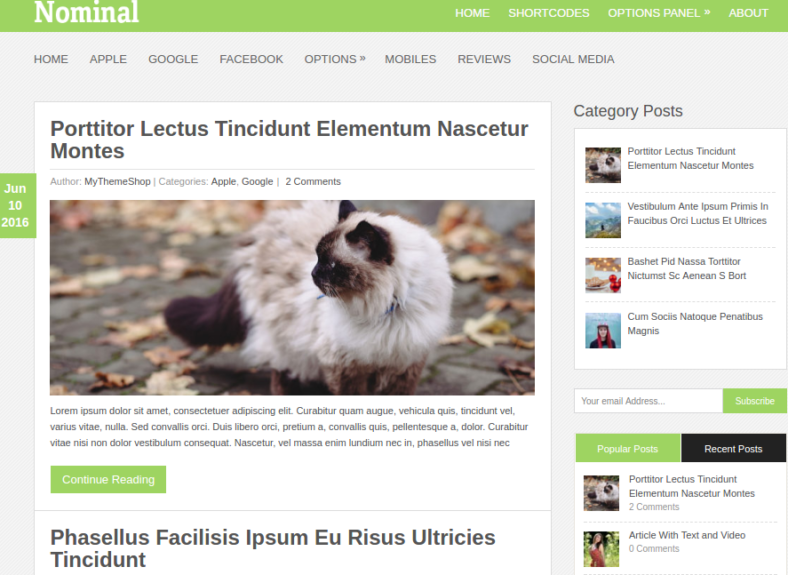 Nominal is a WordPress theme with an options panel that allows users to manage user preferences, custom shortcodes, and widgets. This WordPress theme is also optimized to be able to load faster. It is SEO-friendly website, too. 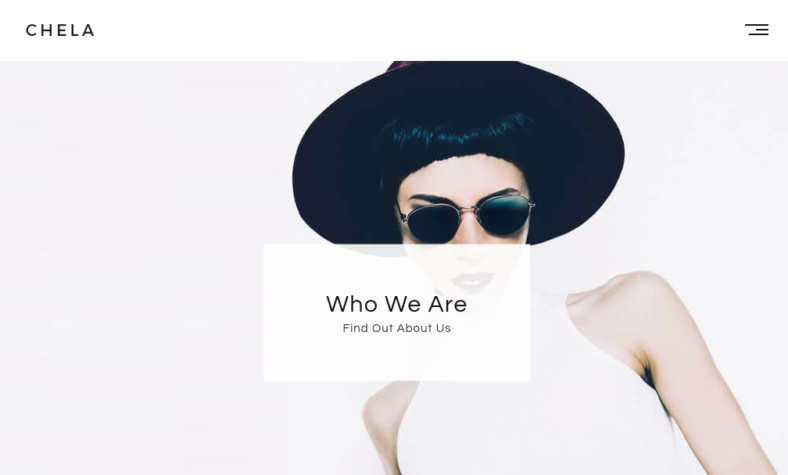 This minimalist WordPress theme is called Chela and it is a perfect match for those who are interested in running a fashion-focused website. With its elegant looks, you can be sure that users would appreciate the modern, uncluttered layout. It is built on the Bootstrap framework that implements HTML5, CSS3, and jQuery coding to design and create the instructions of your website. Kleanity is a minimalistic professional WordPress theme that you can test out before purchasing it. This theme consists of several features such as the GoodLayer page builder application that allows for the creation of a website easily with a simple drag-and-drop action. 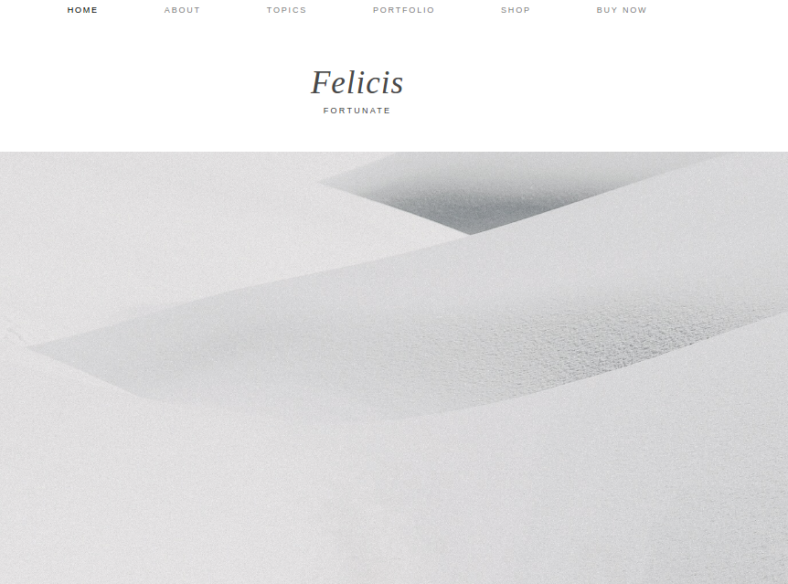 Felicis is a minimalist, modern and creative WordPress theme with several features such as a large full-width home slider, several dual footer widgets, customizable colors, a responsive and mobile-friendly display, and more. This exceptional theme comes with amazing customer support to assist you in creating, managing, and editing your website if ever you come across any issues while using the WordPress theme template. Phoebe is a personal WordPress blog theme that comes with an easy-to-install feature, so you can begin your post with a single click of a button. This WordPress theme supports a theme customizer which allows for the easy customization of your blog, making this WordPress blog theme and template a perfect choice for the creation of any kind of site. This minimal WordPress theme even supports the uploading of several forms of media files such as audio files and video files. Cool is a modern take on creating a responsive WordPress theme that has a minimal yet eye-catching appearance. Cool is considered to be one of the best plug-and-play options for the creation of a functional and fashionable website. This theme also gives you tons of options for managing the site as well as several customization choices to design your website. One example of such an option would be the implementation of the multiple drag-and-drop functions that allows you to position certain items on a page with just a few clicks. 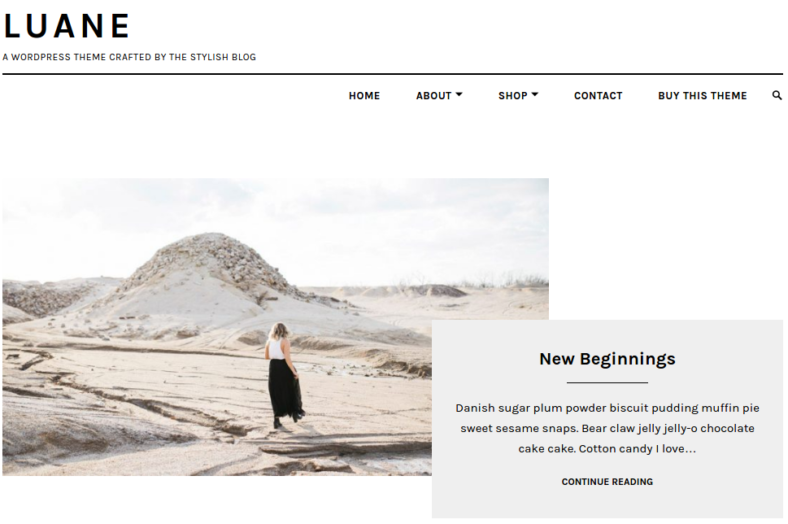 The Cotton is considered to be a powerful premium WordPress theme and template that features a minimalistic style in terms of design. 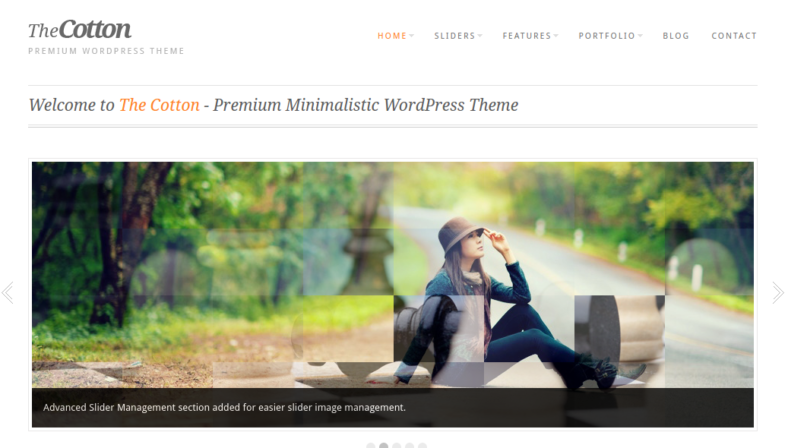 This minimal theme features all of the standard WordPress features to ensure that anyone who has used WordPress before will be comfortable and familiar with the means of creating and managing a website. However, this minimal theme also consists of a few advanced features that will allow a person to have more control in designing and customizing their web pages than ever before. 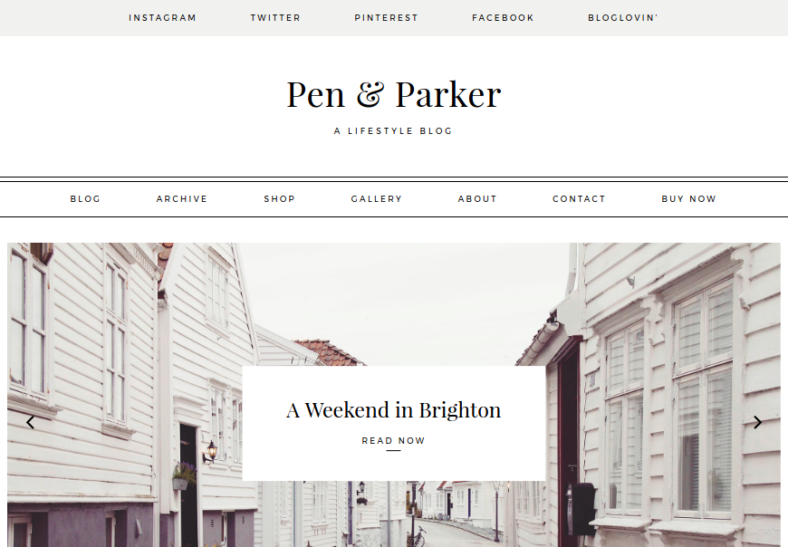 Parker is a simple and minimalistic WordPress theme that’s perfect for someone looking for a lifestyle blog theme. With its unique appearance and styling techniques, this WordPress theme template is not only gorgeous to look at but also rates high in terms of performance and user interaction, which help your site visitors navigate your site with ease. This minimal WordPress theme can be customized in a variety of ways, thanks to several pre-made layout formats and a homepage builder. It also features sliders and sticky navigation bars that will assist you in creating a user-friendly navigation system. Finally, it’s WooCommerce-compatible, too. 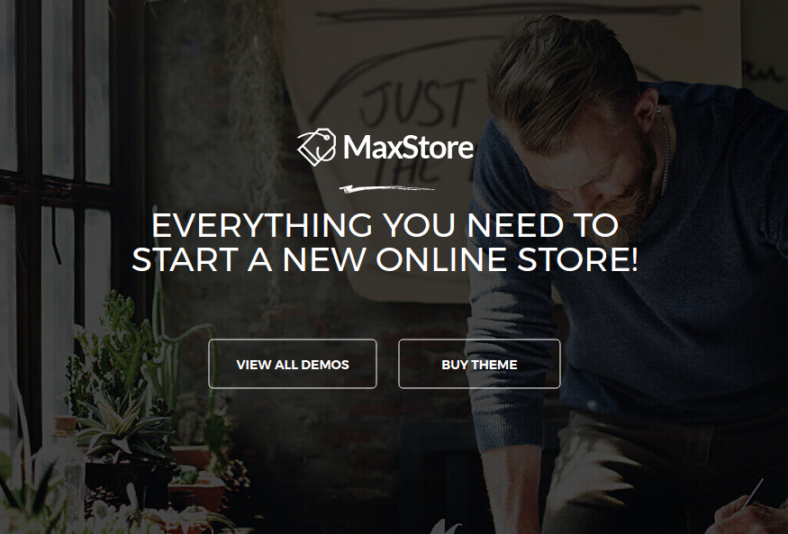 MaxStore is a multipurpose professional WordPress theme with WooCommerce compatibility. With its WooCommerce function, you can easily set up an online store with just a few clicks. With its color customization features, you are capable of highlighting and coloring any part of the website you see fit. 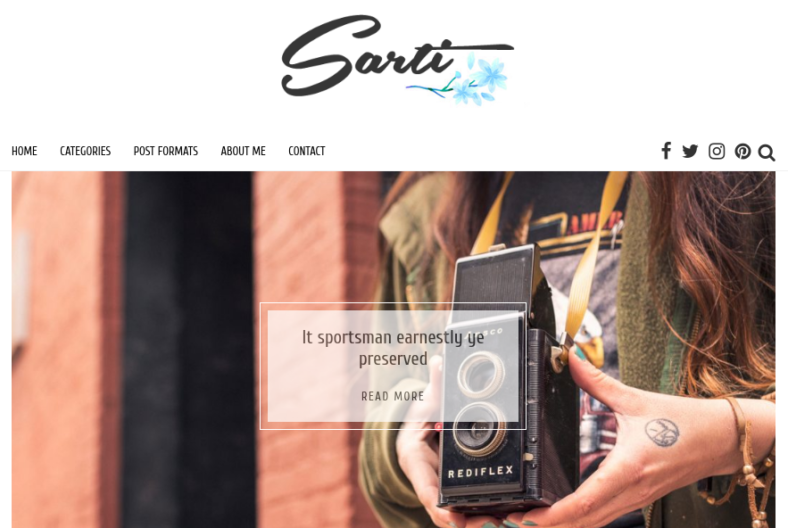 Sarti is a versatile WordPress theme designed for more experienced bloggers due to its flexibility. It has five pre-made default home pages you could select to set as your homepage, or you could take a more hands-on approach and design your very own homepage yourself. This multipurpose WordPress theme and template also features numerous customizable widgets that can add custom functions and features for your site viewers’ convenience, further improving their experience on your site. The theme also allows you to customize the font style, size, and colors on your website to make it more unique. Merci is a responsive WooCommerce theme that you can use for creating an online store. This responsive free WordPress theme is minimalistic in terms of design and resource requirements. The theme also has a variety of features such as the MegaMenu and sticky menu functions. 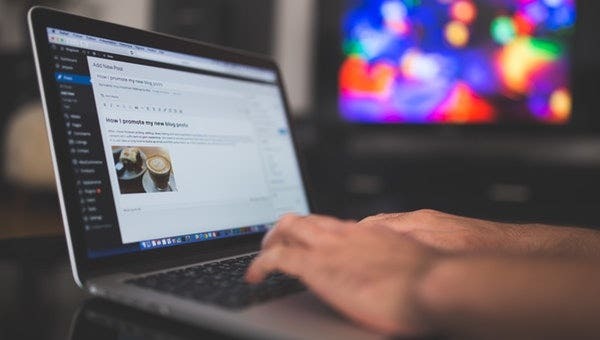 These allow you to create easy-to-use menu options that will let site visitors navigate through your website more easily. 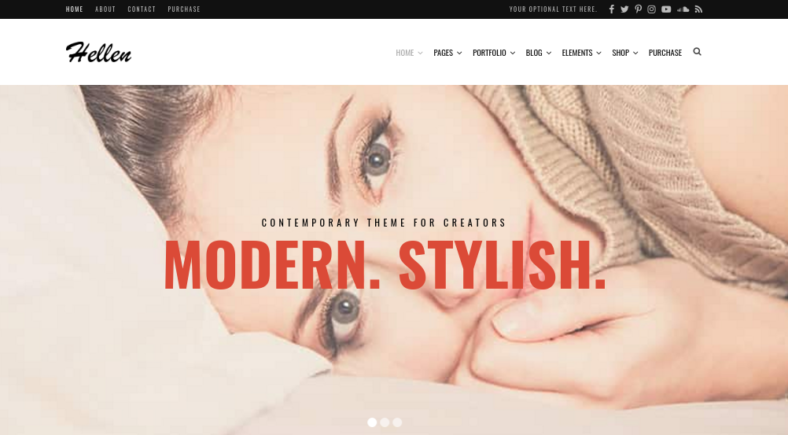 Bella is a fashion blog WordPress theme that is both visually amazing and extremely functional. Its high performance features makes it easy to upload and display high resolution graphics or images, making it the best fit for fashion and photography bloggers. Are you in need of a website template for the creation of your photography portfolio or magazine-themed site? Then Hellen is exactly what you need. This clean and simple WordPress theme is not only lightweight or minimal but it can also display high-quality content and images beautifully. Thanks to a built-in feature called the Visual Composer, it is capable of giving you almost free rein on how you will design and create your website. 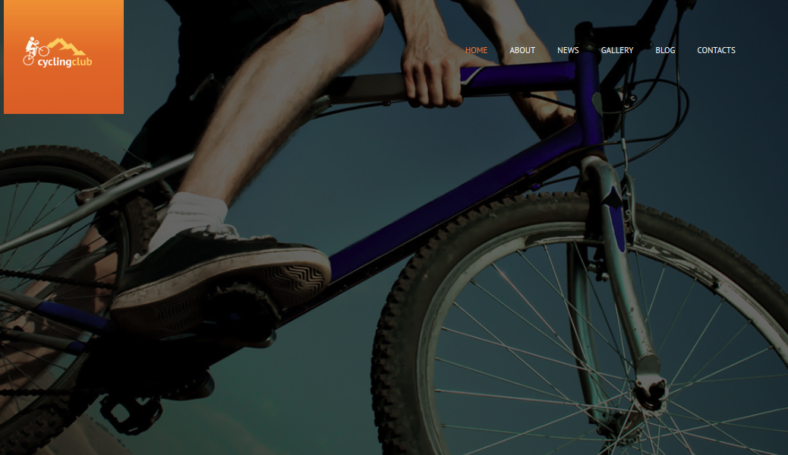 Aeolus is a minimal WordPress theme that takes inspiration from the popular Windows 8 and Windows 10 start menu design known as Metro. This design makes a website appear compact, lightweight, and stylish. The theme also mimics the famous high contrast and flat colors of the Windows’ Metro look. 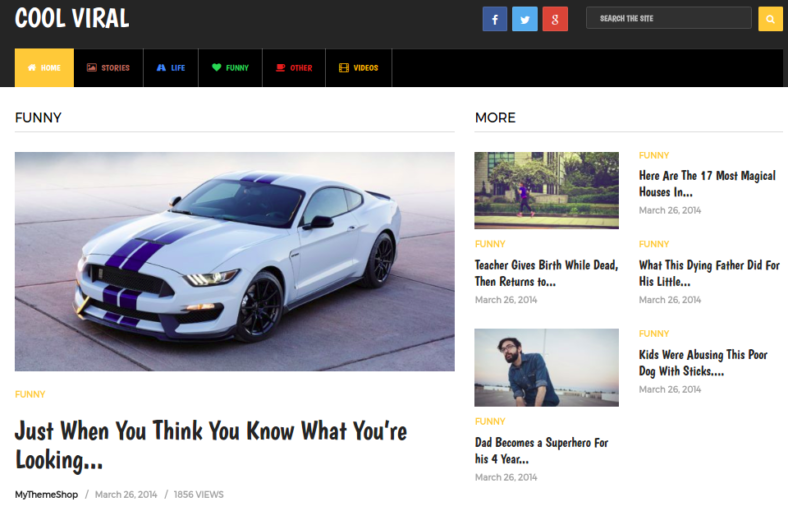 Using this theme would be great for technology-based websites that feature tech reviews and related topics. This completely Travel WordPress theme, Its uncluttered look makes it perfect for showcasing high resolution photography. With all these great minimal themes available online, you will surely be able to find the perfect one that suits your website or blog.